While overhead projectors have dominated academia for the past 30+ years, technology has evolved to create a sense of integration. No longer are teachers limited to using clear projector transparency sheets with dry erase pens; today’s visual learning combines interaction between computers, projectors, tablets, and Wi-Fi. If you’re looking to refresh or add to your visual resources, then consider a modern day projector cart. Below are several tips to help narrow down your search to find a media center lectern or projector cart that suits your needs. 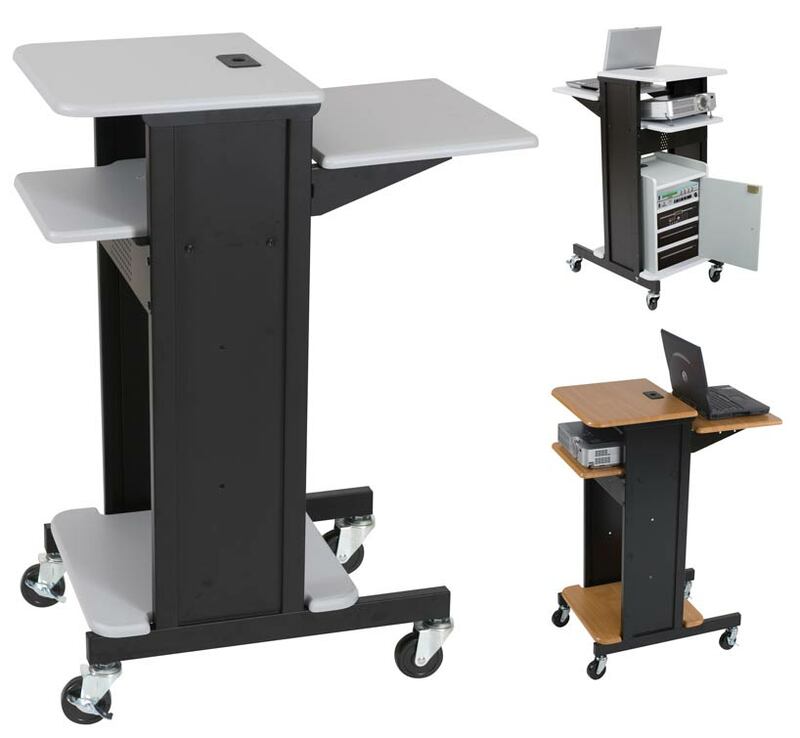 Because of the changing learning environment, a solid projector cart needs caster wheels that allow for quick and easy movement. Swivel casters also have a locking feature to secure the cart in place during lessons or when being stored. Unlike multimedia tables, many modern projector carts have trays or shelves that can store important items such as blank documents, school supplies, and textbooks. 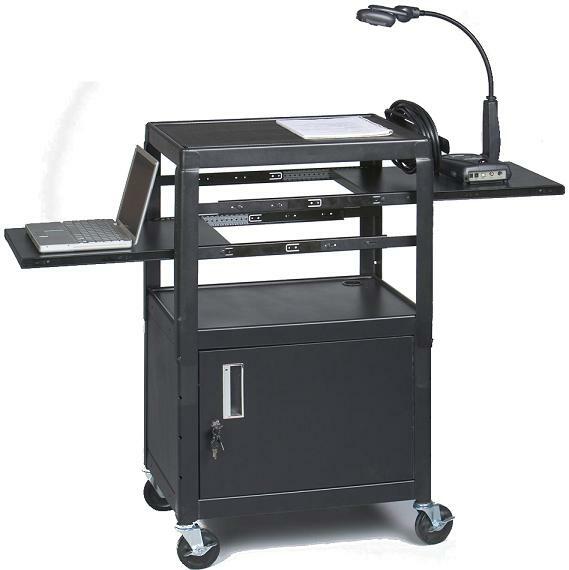 Other carts include a storage compartment (with locking feature) that can hold large ticket items like student laptop computers, A/V cables, projector accessories, and several tablets if the lesson plan demands student computer interaction. With the continued adoption of technology in the classroom, a good projector cart has power connectivity to charge & run presentation laptop & desktop computers, tablets, lamps, LCD monitors, and other miscellaneous classroom electronics. Older projector carts were often bulky, difficult to move, and overall a hassle to use. 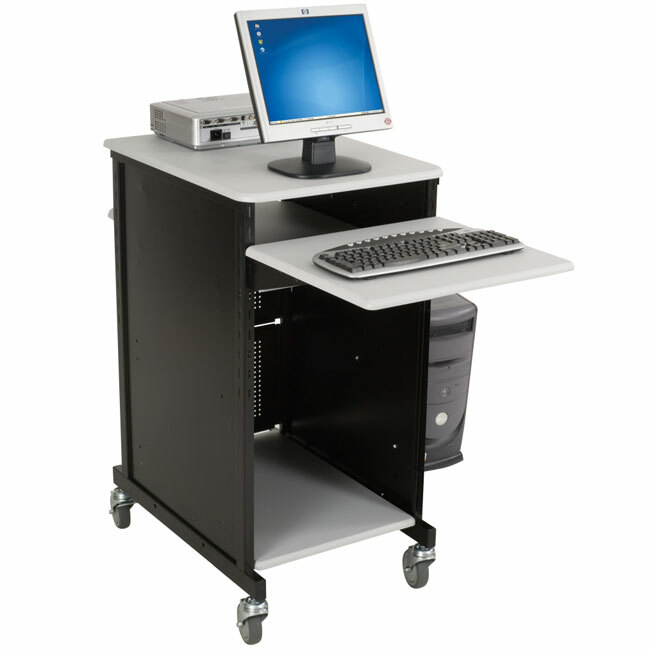 Many modern projector carts offer ample space for a computer keyboard, LCD monitor, space for writing, and even a desktop computer stand in case you need the extra horsepower for your lesson plan. Ultimately, the ideal projector cart complements and adapts to your learning environment by combining computer learning, power sources, storage capability, and mobility to ensure your students have an optimal learning experience. If you need help finding the next great projector cart for your classroom, please contact us today and we will be more than happy to find one that suits your needs! 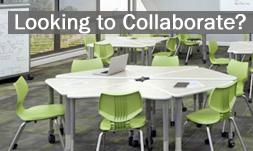 < Do You Really Need Seminar Training Tables?